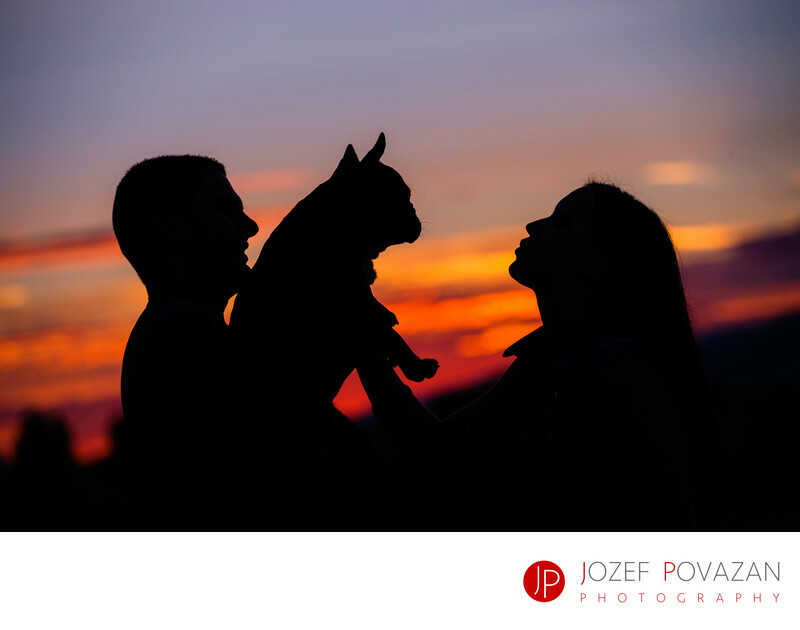 Bride, groom and puppy silhouette at pre wedding shoot - Best Vancouver wedding photographer Jozef Povazan Photography studio. Bride, groom and puppy silhouette at pre wedding shoot photographed by Vancouver wedding photographer Jozef Povazan. Having fun and being yourselves works magic at lifestyle sessions like this one. Photograph was taken at Golden Ears Provincial park where sunsets are pure awesomeness. Location: Golden Ears Provincial par, Maple Ridge, BC.